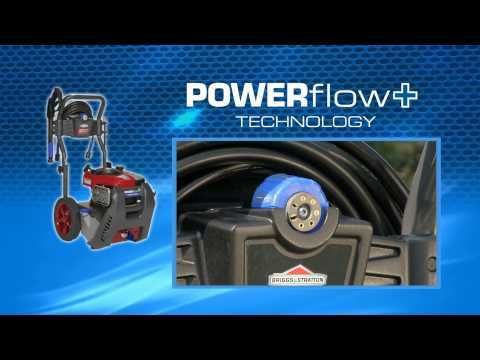 The high pressure and high flow modes of the POWERflow+ Technology™ make these pressure washers unique. Persistent stains will easily be removed, even with low pressure for delicate surfaces. Delivers up to 19 litres per minute to rinse away soap, dirt and debris. Also perfect for cleaning delicate surfaces like patio furniture, vehicles and second story windows. Adjust pressure settings and apply soap with a twist of the wrist.